A New Hampshire woman is facing drug charges after she allegedly attempted to shoplift from a Walmart in Manchester, New Hampshire and was caught with heroin and crack cocaine in her possession. 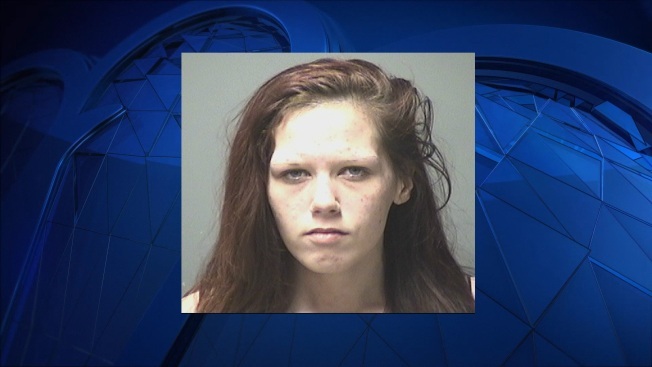 Krystal Mello, 23, of Londonderry is charged with theft by unauthorized taking, two counts of possession of a controlled drug and falsifying physical evidence. She was scheduled to be arraigned on Friday in Manchester District Court. Manchester police were called to the Walmart at 725 Gold St. around 1 p.m. Thursday for a report of a shoplifter. A loss prevention officer told police that a woman had concealed multiple items before leaving the store. The loss prevention officer was able to get the suspect, later identified as Mello, to return to the store with the concealed items. Police didn't say what items were taken. As she was being arrested, a Manchester police officer located a hypodermic needle loaded with heroin inside Mello's handbag. Later, while being searched inside the booking area, police said she also attempted to conceal a small amount of crack cocaine.